MAS Cleaning Company is a privately owned, insured and bonded Minnesota company. It was started on January 4, 2013by a former fundraiser, Mark Skipper. 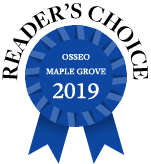 MAS specializes in cleaning small offices of financial advisors, accountants, mortgage/title/real estate professionals, insurance agents and lawyers in the Maple Grove and surrounding areaes under the division name of MAS Office Cleaners. Under the MAS Cleaning Company name, we work closly with realtors to provide one-time, move-in and move-out cleanings for single family homes, condos and townhomes. Quality Service: You receive service that exceeds your expectations. Dependable Partner: We are committed to "go the extra mile" and get the job done right. First Impressions: We keep you looking good because it makes a difference. Just ask your customers. Bonded and Insured: MAS Cleaning Company gives you quality service and peace of mind. Fun and Excitement: You have worked hard. Go have fun and let us do the cleaning!